Bahco professional hedge shears, the highest quality hedge shears, for professional use in parks. 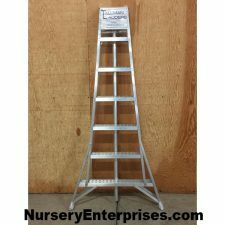 Ideal for landscape topiary gardens, estates, and nurseries, or general fine leaf pruning and trimming and shaping work. 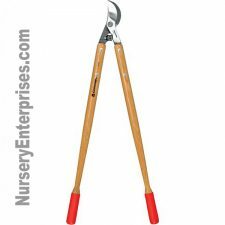 Long smooth straight narrow slim blades for hedge trimming on plants with fine twigs of 1/4” or smaller and leaves, for quick weekend hedge-trimming jobs too delicate or small for an electric hedge trimmer. 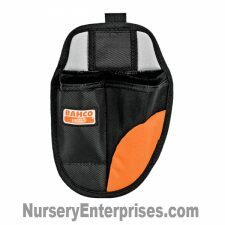 An ideal tool for effective hedge pruning and trimming of world renowned Bahco quality. Excellent for topiary plants, such as Ivy, Holly species, Boxwood, Yew, Bay, Thyme, Rosemary, etc. For branches more than 1/4 inch in diameter, use a more suitable tool. Engineered with ergonomic angling to be lightweight & well-balanced. Reduced fatigue through superior cutting performance and very comfortable handling. Robust and durable steel construction blades are resharpenable and offer lasting strength and durability. Very sharp, precisely ground blades ensure a continuous clean cut. The forged solid steel alloy blades are fully heat treated and hardened. Long 4-stage robotic grinding of carbon steel blades for durability & easier cuts in tight areas make the work easier to shape a hedge the right way. The blades are ultra sharp, and beveled so that they only touch at the cutting point, reducing friction. 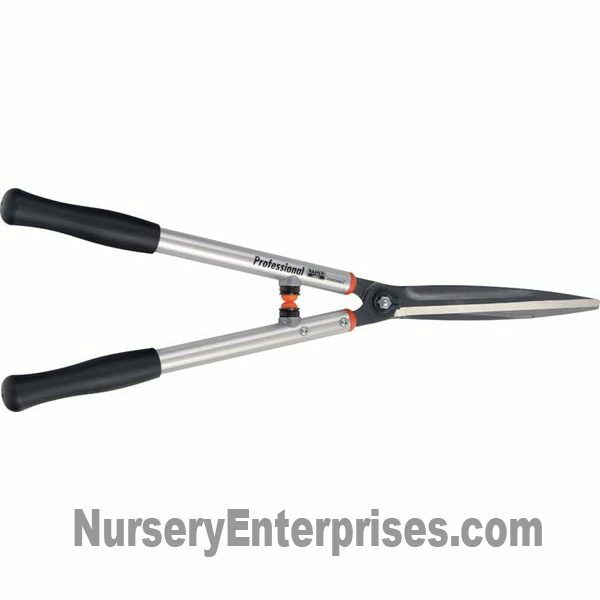 The narrow, straight blades on these garden shears provide smooth and accurate cuts. Center pivot bolt locking system saves you time by keeping the blades perfectly aligned and cutting correctly. For safety, the sturdy handles are also lightweight and designed for easier work to help you beat fatigue. Extremely strong, durable, and strain resistant, yet very light round aluminum handles feature solid, soft, and comfortable non-slip grips, enhancing comfort and control, and will keep your hands secure as you work, and allows a more comfortable holding position. These are designed to require less work to get the job done. These heavy duty shears include two forged-in integrated rubber soft shock-absorbing buffer stops which help reduce injury and arm and shoulder fatigue and the jarring conclusion at the end of cuts for maximum comfort. Ideal for extended use and makes the work easier. It will last a lifetime and save time, frustration, and money in the long run. It will not disappoint. Working with great equipment helps make your jobs a delight. I bought my Bahco shears after considerable research and I’m not disappointed. I was amazed at the keenness of their cutting edge and their build quality will probably ensure they become a family heirloom! Well worth the money and highly recommended. I purchased a Bahco previously and knowing how sharp this little saw was thought the shears would be good. These shears are devilishly sharp and therefore do the job of cutting with little effort. Buy one. In professional use, these are solid, very well made and are probably the best on the market. Will withstand a lot of use with little maintenance. They are not as good for topiary and other fine work as a couple of old Wilkinson Sword still in my possession, but sadly those haven’t been available for many years, from the days they were the best, so these Bahco ones are the next best.